Two Lupine Siblings seek to devour the Sun and Moon - behold, the tale of Skoll and Hati makes itself known! 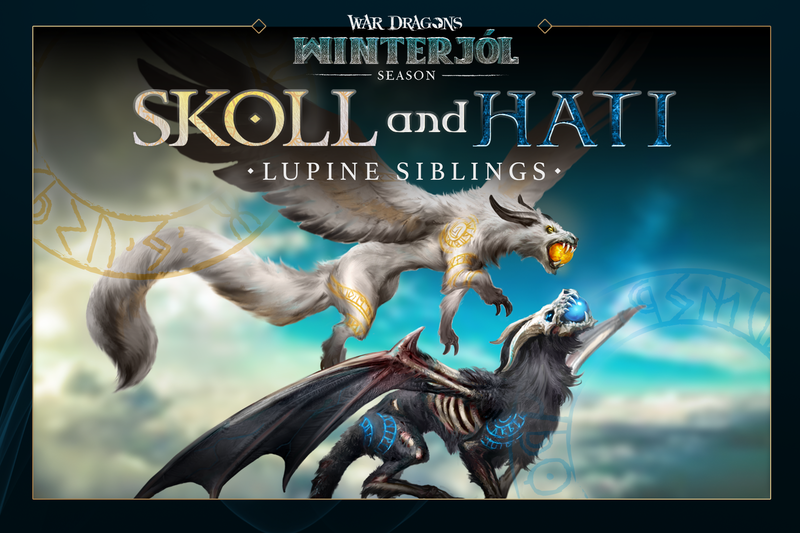 Skoll and Hati will be the Festive Dragon and final addition to the Winterjól Season. This double dragon will have spells built for high damage and ability power against undefended bases. The two siblings would do well to have allies against defended enemy basis to complete their goal of hunting the celestial bodies. Skoll and Hati will be available tomorrow, January 23rd. To see the pair in action, tune in to this week’s Dragons livestreams that are happening this week! Catch the show on Twitch this Wednesday (1/23) at 3pm PT and Facebook Live this Thursday (1/24) at 2pm PT. Until the end of days, these twin dragons chase the sun and moon across the sky. To devour the sun and moon. All things we love and cherish. But I fear only time will tell. Withholding their fabled death knell. ​Upon activation, Dragon spawns a shrouded shield that blocks all incoming elemental damage and heals based on the damage blocked, up to 10% of the Dragon's Max HP. Spell has a 3 second duration and 6 second cooldown. While this spell is active, Dragon deals 6% of its Max HP as damage to all towers in range. Dragon's ammo cost is reduced by 99% (effectively 0) and Dragon's fireball attack deals 60% reduced damage. Spell has a 3.5 second duration and 8 second cooldown. Places a buff on the Dragon. For the 5 second duration this spell is active, this Dragon will regain 25% of its Max HP and .75 Rage whenever a tower is destroyed. When Dragon’s HP is lower than 75%, attacks leave a burn on a target that increases the damage dealt to that target by 40%. Please Note: “Max HP” is the same as Modified HP and is the total summation of the Dragon’s HP from both base stats and modifiers. Skoll and Hati embody the multi-tap strategy for hunters. Players can attack three or four towers at once by tapping on the screen with multiple fingers. Normally, this would instantly deplete the Dragon’s ammo reserve, but Solar Volley temporarily gives the Dragon “infinite ammo” at reduced damage-per-shot. Upon reaching an island, Solar Volley can be activated to burn down as many towers as possible during the short duration. Moonshroud can be activated simultaneously to block all incoming elemental damage, as well. Solar Volley should prioritize Mage Towers, though, as Skoll and Hati cannot easily recover Rage if they get drained. While the Dragon’s damage output isn’t Rage-dependant, Skoll and Hati have two healing spells that must be used efficiently to keep the Dragon alive. Finding opportunities to use Soul Devour to recover valuable HP is a particularly important, as Skoll and Hati have traded out their resist for Starburn, a passive damage boost that activates after the Dragon takes damage. Skoll and Hati have some of the highest damage output in the game, but this power is gated behind the skills of careful target prioritization, ability timing, and resource management. Can you coerce the siblings who chase the Sun and Moon across the skies? 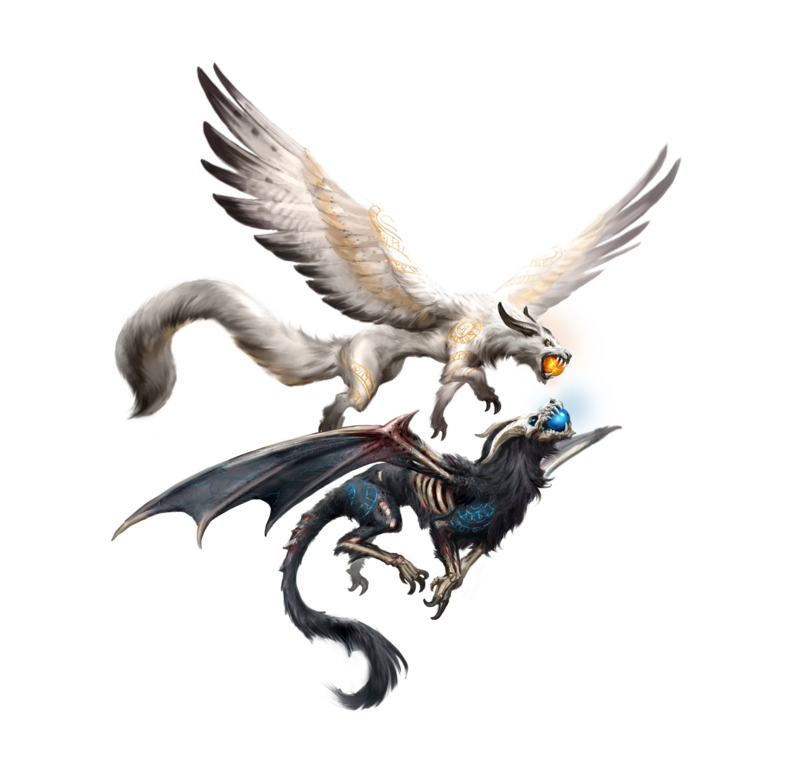 Head over to the official War Dragons Forums to discuss the latest addition to the Winterjol Season with the Dragons community.